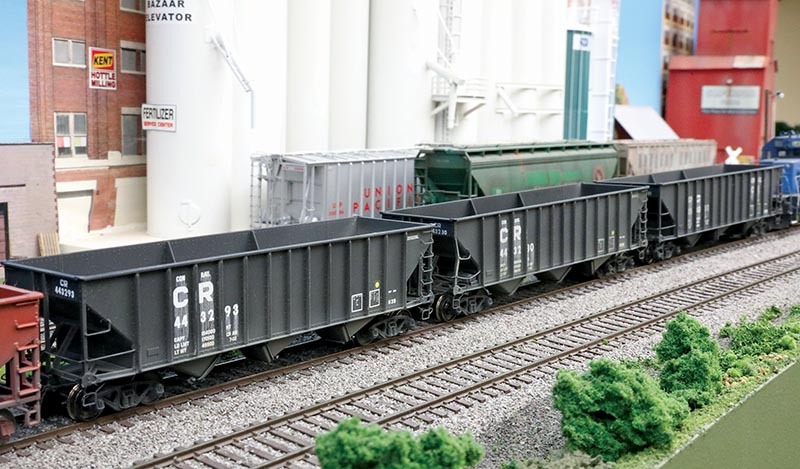 The three repainted Arrowhead Models H39 hopper cars are first out and about to top the grade at Robinson on the author’s Santa Fe St. Louis Division. The cars were well worth the time to strip, paint, decal, and weather to postdate from Pennsylvania Railroad to Penn Central and Conrail. I love it when the phone rings and on the other end is my good friend James Kinkaid. 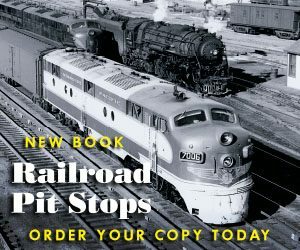 A call from him always means that soon I will be receiving a package in the mail with another one of his well-documented, illustrated, and researched freight car articles. This call was no different, and after a bit of conversation we got down to business. He let me know that I should keep my eyes peeled for a feature article on the H39 and H39A hopper cars. That article appeared in the December 2018 issue. 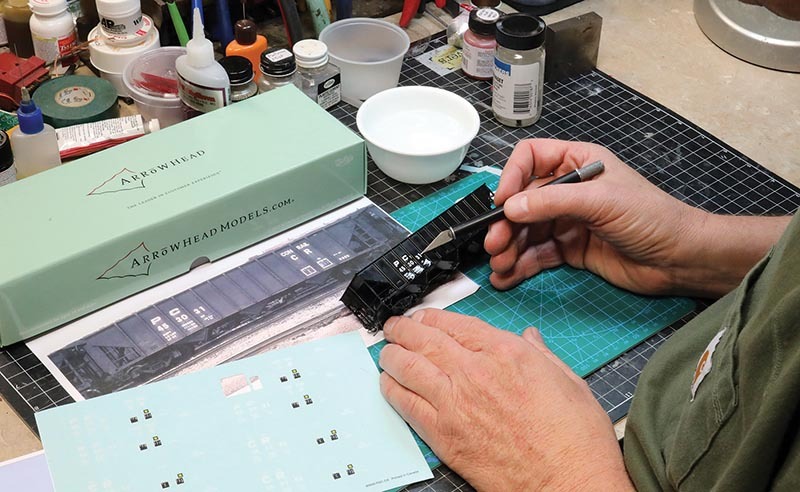 James casually mentioned that Arrowhead Models founder Blaine Hadfield had released this very car in HO scale, and that if I was a “real” modeler, I should probably pick up one. I called Blaine the very next day and requested a couple of models for review. The cars found their way to my studio, and I opened up the box to find a stunning pair of Pennsylvania Railroad hoppers. Wow! These models are really nice. However, I model 1978, and I doubted these cars were still in service at that point. Fortunately, being his usual predictable and efficient self, James had included a roster of the H39 production runs with his article. It appeared that lots of the cars were still in service in 1978. I still had an era dilemma, so I called James. I wanted to use the cars, but they were out of my era as painted. James quickly fixed this by providing me some photographs of the cars under Penn Central and Conrail colors. Bingo! All I had to do now was rework, repaint, design decals, and refinish the cars. The first step of the project was to get out the drawings that James had provided for the article and prepare them for import into Adobe Illustrator. 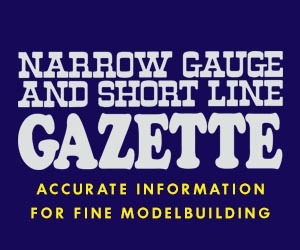 I resized them to HO scale and saved them as a .tif file. I then imported them into Adobe Illustrator where the real work began. I created the set of drawings using James’ work as a base. I scaled them to exactly HO and printed them and then proofed them using a scale rule. The next part was a little more intense; I opened up the two images James had sent of the cars in service during the Conrail era and prepared them for use. The photographic image of the PC 45301 was the first candidate, and I imported it into Illustrator and placed it on a separate layer behind the Kinkaid line drawing. I altered the photograph by stretching and trans-forming it until it fit exactly under the drawing that James had provided me. The decals from Precision Design Co. are very thin, and I had to be careful to keep from bending the edges of the decals back under themselves. The nice thing about the decals is that they virtually disappeared once the cars were clear-coated. The process was repeated with the image of CR 443293, which took a little more distorting effort because the image was not a true broadside. The key was to align the car’s edges with the Kinkaid drawing edges, creating an accurate representation of the flat side of the car from the angled perspective image. Illustrator helps this process by allowing you to dim a single layer, reducing its brightness. I dimmed the photo layer so that the artwork could be seen more readily, allowing me a more accurate placement during the distorting process. 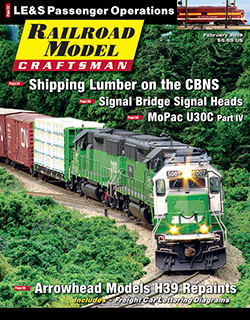 Read the rest of this article in the February 2019 issue of Railroad Model Craftsman!